Arizona Diamondbacks- Paul Goldschmidt, AW Dye Insurance, Allstate, Amy Schmitt-Kingston, Anything Printed, Apple Dumplin, AutoZone, Buckwheat’s Florist, Buffalo Sabres, Burger King, Carolsel Beauty Shop, Carpet World, Cascade Lanes, Cattaraugus County Bank, Cheap Chollies, Cindy Lou’s, Community Bank, Concord Amish Village, Concord Crest, Concord Veterinary Center, Dave Wendel & Sons, Dave’s Compost, Dr. Scott Nachbar,Emerling Ford, Emerling Jeep, Fiesta Bamba, Fireside Inn, Formula 1, Gernatt Asphalt, Gui’s Lumber, Holiday Valley, Jake’s Greenhouse, Jenna Muise, Jim Murphy Chevrolet, John Sixt & Sons, Joylan Theatre, Julie’s Pizzeria,Ken’s Taxidermy,Kissing Bridge, Land Pro,Lawrence’s Tavern, Lulu Belle’s, Main Street Cafe, Mark’s Country Store, Maurice’s, McDonald’s, Microtel Inn, Nature’s Remedy,Peggy Austin Photography, Quilt Farm, Root 39, S & N Eileen’s, S & S Taxidermy, Shamel Milling, Shear Brilliance, Southern Tier Auto,Spring Creek Athletic Club,Spring Valley Landscaping, Springville Animal Hospital, Springville Dental Arts, Springville Door & Window, Springville Eye Care, Springville Health & Fitness, Springville Homewear, Springville Lanes, Subway, The Legacy, Tim & Bonnie’s Pizza, Tim Horton’s, Tops Friendly Markets, Valu Home Center, Village Optical, Waterman’s Greenhouse, Wendel’s Maple & More, Wendel’s Poultry Farm, White’s Appliances, Wireless Zone, Witter Davis Furniture, and Walmart. 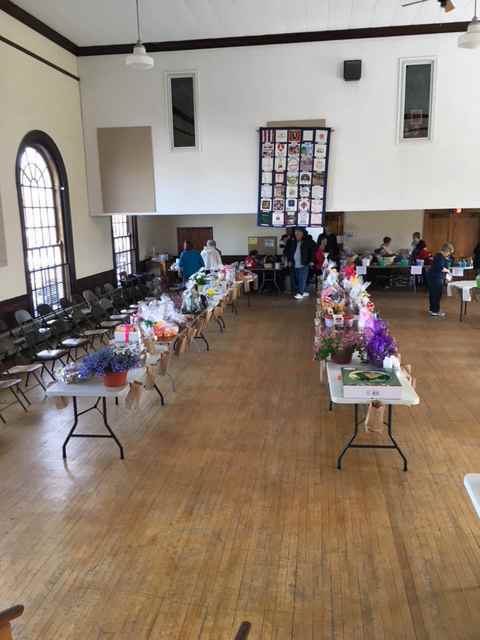 On behalf of the Bertrand Chaffee Hospital Women’s Association, I would like to thank the community for their support of the Fashion Show on Sunday, October 1 at the Concord Senior Center. A special thanks to the following program sponsors who with their support made this event a success: Arcade-Springville Dental Arts Group, Chiropractic Care, PLLC, Christian General Contractors, Concord Land Realty, Dave Wendel & Sons, Holland Pharmacy- Claire Buckley Mackiewicz, Home Wear, Jake’s Greenhouse, Joseph L. Rumfola, DDS & Rick Redmin, DDS, Keystone Medical Services, Lulu Belle’s, Metro Kirsch Real Estate, Medical Liability Mutual Insurance Company (MLMIC), R. A. Mercer & Co., P.C., S & N Eileen’s Flower Shop, Scott Danahy Naylon Co. Inc., Slippy’s Collision, Software Inventors Ltd- Jeffrey Forster, Springville Door & Window, Inc., Springville Eye Care, LLC, State Farm- Jim Merenick, Agent, The Carolsel Shop, Wendel’s Poultry Farm. Emcee Judi White leads the models in a parade of fashion to start the BCH Women’s Fashion Show on October 1. 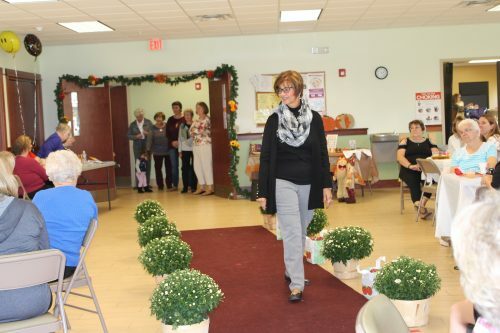 The BCH Women’s Association held its annual Fashion Show on Sunday, October 1 at the Concord Senior Center. Emceed by Judi White, the event featured casual and refined fashions from local retailers maurices, Lulu Belle’s, the Carolsel Shop and Walmart, and also Christopher & Banks. Nearly two dozen models walked the runway in shades of black and gray and the season’s trend color of a chestnut brown. Sunglasses from Springville Eye Care and jewelry from Sheret Jewelers provided the accessories for the outfits. 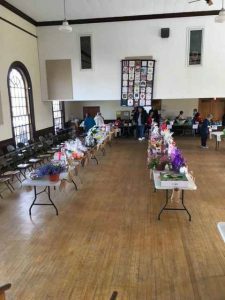 Gloria Rice donated her services as a D.J., and BCH Women’s Association members kept the attendees fed with a wide selection of snacks and sandwiches. A basket raffle with more than 70 baskets was a final highlight for the event. Our thanks to the crowd of more than 100 people who turned out to support the BCH Women’s Association and the projects they fund at Bertrand Chaffee Hospital and the Jennie B. Richmond Nursing Home. A photo gallery with more pictures from the event is on the Bertrand Chaffee Hospital Facebook page. 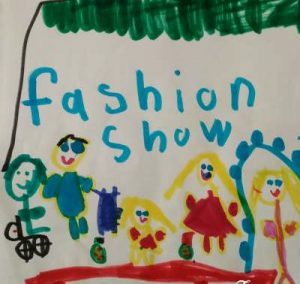 The Bertrand Chaffee Hospital Women’s Association is counting down the days until its annual Fashion Show on Sunday, October 1 at 2 p.m. The theme for 2017 is “Apple of Your Eye Fashions.” This year’s event will be held at the Concord Senior Center on Commerce Drive, off Waverly, in Springville. Volunteers will model outfits and accessories from Christopher & Banks and maurices of Springville. 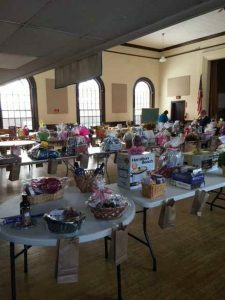 Refreshments, a basket raffle and sale of items from the BCH Gift Shop will be part of this event. The BCH Women’s Association supports projects and equipment at Bertrand Chaffee Hospital and Jennie B. Richmond Nursing Home. Their volunteers work throughout the year to coordinate fundraising events like this fashion show, and management of the BCH Gift Shop. The group’s most recent donation funded a state-of-the-art vein viewer, now in use in the hospital’s emergency department and lab. Tickets are $8 presale and available at the BCH front desk and the BCH Gift Shop. A limited number of tickets will be available at the door for $9 each. Call (716) 592-2871 ext. 1485 with any questions or to inquire about sponsorship opportunities.. 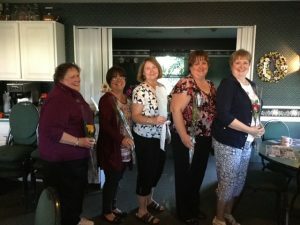 The Bertrand Chaffee Hospital Women’s Association held its annual installation dinner on June 7 at the Apple Dumplin in Springville. Members capped off a year of fundraising and activities with a donation to the Bertrand Chaffee Hospital Foundation to support the purchase of a vein viewer for the Emergency Department. This continues the strong tradition of the BCH Women’s Association in supporting clinical equipment purchases and building improvements at Bertrand Chaffee Hospital and the Jennie B. Richmond Nursing Home. Jennifer Siragusa, RN, director of patient care services, accepted the gift on behalf of the hospital and foundation. Amy E. Schmitt-Kingston, Anything Printed, Apple Dumplin, Auto Zone, Buckwheats, Buffalo Bisons, Buffalo Sabres, Burger King, Carolsel, Carpet World, Cascade Hair, Cascade Lanes, Cascade Massage, Cattaraugus County Bank, Cheap Chollies, Cindy Lou’s Frozen Yogurt , Community Bank, Concord Amish Village, Concord Crest, Concord Veterinary Center, Dave Miller Compost & Mulch, Dave Wendel & Sons, Delocon Wholesale Inc., Don Chelle Salon & Spa, Dr. Scott Nachbar, Dye Insurance Agency, Emerling Ford Mercury, Formula 1 Automotive, Gernatt Asphalt Products Inc., Hope Louth, Jake’s Greenhouse, John Sixt & Sons, Joylan Theater, Julie’s Pizzeria, Ken’s Taxidermy, Kiril’s Restaurant, Kissing Bridge, Lulu Belle’s, Main Street Pizzeria & Café, Mark’s Country Store, Mary’s Fireside, maurices, Mc Donald’s, Michele Sundeen, Nature’s Remedy, Root 39, Sears of Springville, Shamel Milling, S & N Eileen’s, S & S Taxidermy, Shear Brilliance, Software Inventors, Southern Tire Auto Center, Spring Creek Athletic Club, Spring Valley Landscaping, Springville Animal Hospital, Springville Dental Arts, Springville Door &Window, Springville Eye Care LLC, Springville Health & Fitness, Springville Homewear, Springville Lanes, Subway, Tim & Bonnie’s Pizza, Tops- Springville, Tractor Supply Co., Village Antique & Optical, Waterman’s Greenhouse, Wendel’s, Wendel’s Maple & More, White’s Appliance, Wireless Zone, and Witter Davis Furniture.